Recently I contacted Dennis Munden from Motorcycle Maps and had a couple of great conversations about what he’s doing with maps and rider journals. Motorcycle Maps creates maps with destinations and businesses of interest to riders, including recommended ride routes. These are created with input from riders, who can sometimes make a few bucks recommending a business for the maps. 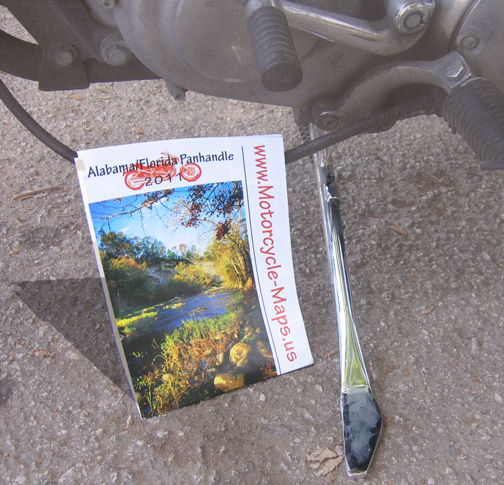 So far, Motorcycle Maps are available for Alabama, Georgia, and North Carolina. Dennis is looking forward to expanding as the maps have been popular so far. 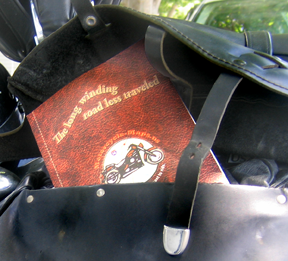 In addition, Motorcycle Maps offers the My Motorcycle Journal that fits in your saddle bag pretty easily. It allows a rider to write notes about the rides they’ve been on while they’re out riding. It can be used free-form or with the suggested headings on each page that note the particulars of each ride. That way the rider can refer back to things they liked about a ride, either to share with a friend or remember what worked. I don’t know about you, but I get so focused in on the road, the ride, and the beauty of the whole experience that some of the details are soon forgotten. The My Motorcycle Journal lets me remember, lest I forget. And at $8, it’s easy on the wallet. Keep your eye on Motorcycle Maps as Dennis expands into more states. Right now he’s focused on expanding in the Southeast, based on success there, and will be looking to other states later. If you are interested in combining your riding with a little business, check with Dennis about being a state rep or suggesting supporting businesses for the maps.